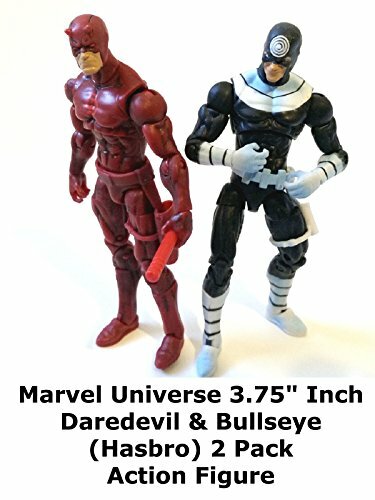 This is a Marvel Universe 3.75" inch Daredevil and Bullseye two pack review. Made by Hasbro this is a fantastic set as it contains the ideal versions of each character in this scale. Both have a high quality sculpt and detailing. Worth it if you are a marvel universe action figure toy collector.